The scrambler motorcycle genre just doesn’t get enough attention from custom bike builders, cafe racers, choppers and bobbers seem to be hugely popular but I’d love to see a custom shop building nothing but balls-to-the-wall scramblers just like this one. 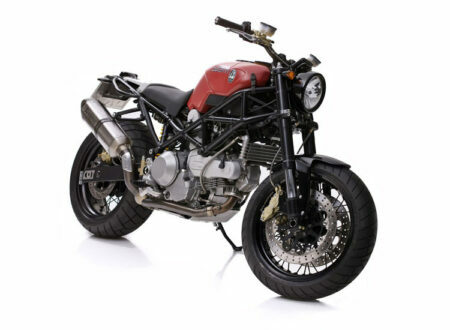 This remarkable custom Ducati was built by German garage JvB Moto, it initially started life as a 1:12 scale model and was entered into the ”Design your Dream Ducati” contest organised by Ducati in 2004. 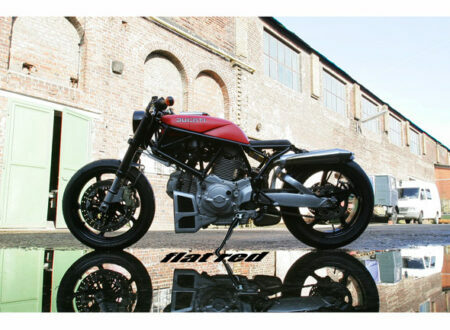 The design, called “Flat Red” went on to win the competition and was then built full scale by JvB Moto.